For construction sites to work effectively and safely, it is important that the site is well lit, either by natural or artificial lighting. Many construction sites do not meet the minimum on-site lighting requirements, putting their workers, and projects at risk, as well as members of public. 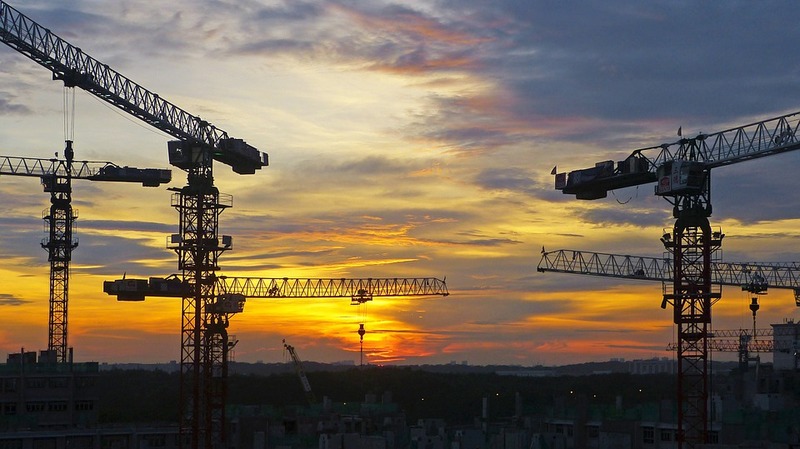 Appropriate light levels on construction sites can help everyone working on the site itself, illuminate emergency exits and can also prevent trespassers. Construction lighting can be arranged in different ways onsite to allow for the most efficient use. Lighting can be fixed to support poles, scaffolding, and tower cranes, or it can be put on movable supports. Every part of the construction site that is in use should be well-lit, either with natural light or artificial lighting. This ensures that wherever people are working, they are able to do their work effectively and move around the site safely and efficiently. If work needs to carry on beyond daylight hours, or the building structure is enclosed, artificial lighting must be used. It is common on construction sites for shadows to form, obscuring hazards such as machinery and nails. To avoid any injuries, aim to provide extra lighting around the construction site to help illuminate any areas currently in shadow. To ensure the safety of everyone on site, it is important you provide emergency lighting. This ensures that workers descending scaffolding or escaping the site in an emergency, don’t have to do so in the dark. Where it’s not possible to provide automatic lighting that comes on as soon as other lighting turns off, accessible torches can provide suitable lighting. When there is an emergency on the construction site, it is essential everyone can follow a well-list escape route. Ensure emergency lighting is provided in all emergency routes so that it can illuminate escapes if the primary lighting fails. Emergency lighting doesn’t need to be very bright, it only needs to be bright enough to illuminate emergency escape routes sufficiently. To light general working areas, overhead lighting can be suspended from grids to illuminate spaces effectively. This ensures workers can complete projects safely and efficiently, without damaging their eyes or becoming susceptible to injury. Lighting general working areas is especially important out of hours when there is no more natural light. When lighting construction sites, it is important to keep light spillage to a minimum. If the construction site is particularly close to residential properties and busy roads, light spillage must be avoided as it can cause distraction. So, where you’re able to, ensure lighting is affecting surrounding areas as little as possible. Where necessary, appropriate lighting should also be provided around site boundaries to ensure pedestrians are able to pass by safely. Hazards should be easily noticeable so they can be assessed. All lighting must be suitable for the work undertaken and the environment. Different coloured lights must be easily distinguishable to promote safety. No strobes, flickers, or glares should be caused by lighting. Lights should not pose a risk to health and safety. Lighting should be easily accessible so that maintenance can be carried out and units can be replaced with ease. Protecting the employees in your care should be your top priority. 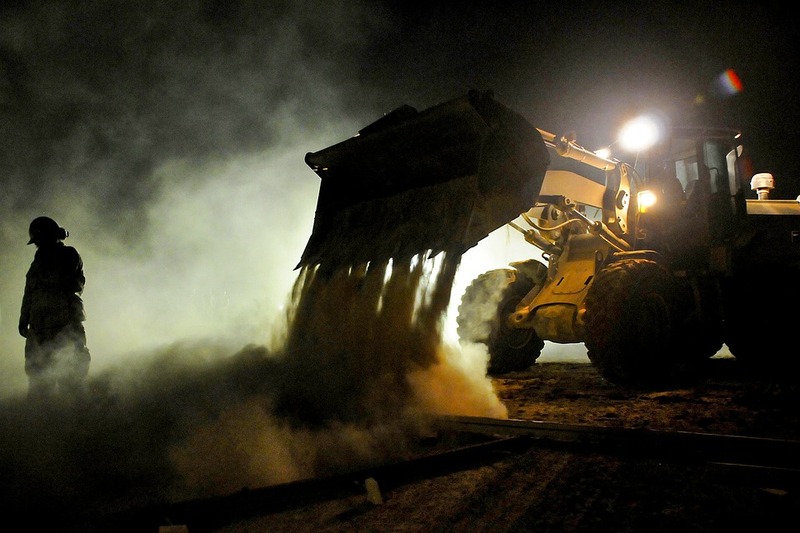 Bad or inefficient lighting can be detrimental on construction sites, causing accidents, fatigue, and danger for those working with machinery. To ensure the light levels on your construction site are appropriate, you can use a light or lux meter to measure lighting levels on site, ensuring your workers are protected while they work and less susceptible to injury. You should always ensure sufficient lighting at all times. Please Note: this article is meant to provide general guidelines and by no means replaces official health and safety requirements. We provide a large selection of quality lighting solutions that can illuminate your construction site effectively. And if you don’t have mains electricity on site, we have you covered too. Our powerful generators are perfect for powering portable lighting, convenient for use when other power sources are not available. Discover the Mteevan Hire lighting range and light up your construction site.